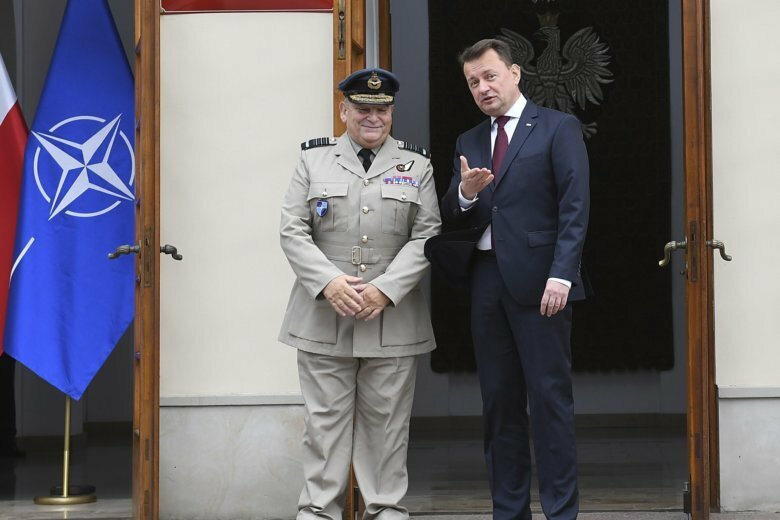 WARSAW, Poland (AP) — Poland’s defense minister has met with the chief of NATO’s Military Committee for talks ahead of a weekend session of military leaders from the alliance’s 29 member nations. Mariusz Blaszczak and Air Chief Marshal Stuart Peach met Friday at the Defense Ministry chief office. Poland is seeking greater security amid concerns over Russia’s increased military activity in the Baltic region. The committee is to debate NATO’s readiness, reaction and modernization, as well as determine guidance for future military exercises. The meeting, one of three held each year, is taking place in Warsaw to mark 100 years of the formal organization of independent Poland’s army. Next month, Norway and Iceland will host the NATO Trident Juncture 18 exercise, involving 40,000 participants, 130 aircraft and 70 vessels from more than 30 nations.